A second hand or used item is one that is being purchased by or otherwise transferred to another end user, and that could well include computer, phones or other devices. In some cases, used devices may be transferred informally between friends and acquaintances or they may be sold for a fraction of their original price at store where those goods are sold. 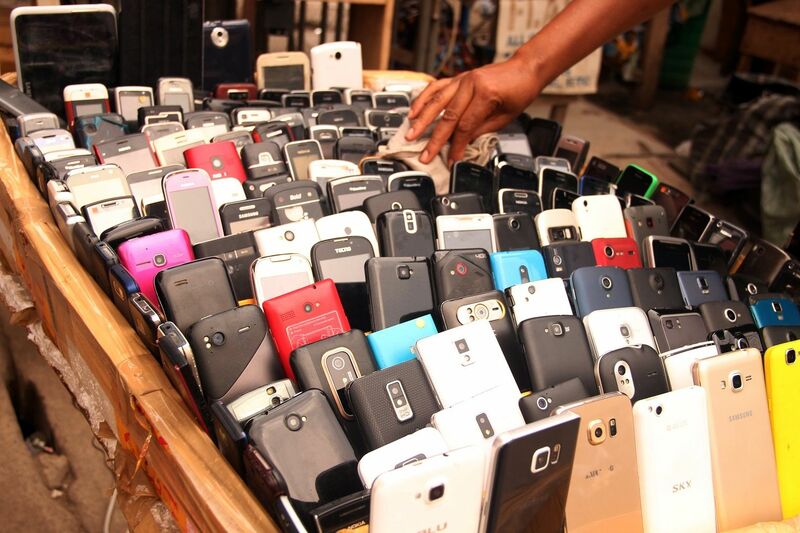 In any case, a used device is popularly known as ‘second hand’ or pre-owned device. Buying second hand computer device is usually risky for the simple reason that we most often times have no idea about the machine’s history. While the second hand computer device may be cheaper, it can have some other limitations. It is bound to be short-lived, as some part of its ‘lifespan’ has already been used up by the previous owner. Also, if you are buying privately, you may have no comebacks at all. This means that you may not be able to return it in case of any device failure, as there may be no warranty policy attached to the sale. You stand the risk of fixing any failure if it happens even within a short while. [quote font=”georgia” font_size=”22″ font_style=”italic” align=”left” arrow=”yes”]First of all, there is a great need to be careful when people offer you goods at a very low price. Remember, not all second hand products are genuinely obtained. Some devices, especially in the cases of laptops and mobile phones, are stolen properties. [/quote]However, this does not mean that it buying second hand devices is bad all the way. In some cases, some used devices even last longer than some that were bought new out of the box. What can help you to reduce the risk that comes with second hand computer devices? Here are certain factors that can be considered when purchasing a second hand computer device. First of all, there is a great need to be careful when people offer you goods at a very low price. Remember, not all second hand products are genuinely obtained. Some devices, especially in the cases of laptops and mobile phones, are stolen properties. So it is advised that one should avoid buying from unknown individuals, as well as stores with questionable business practice. Also, when buying a second hand device from an individual, either a friend or an acquaintance, it is always important to find out the reason for the sellers intention to sell the device. Sellers will often times have many convincing arguments – in need of money; two similar devices were given as gifts and many other reasons. But always try to be sure of the reason for the sale. It is likely that the device is already faulty. After ensuring that the seller is genuine, you then need to assess the device you want to purchase. This is yet another tough part. Here you will need to check the genuineness of the device, assess the performance level, the proposed durability and other features beyond the physical attractiveness. When buying a laptop for example, certain things you need to consider are the specifications. First think about the applications you plan to run in the system. Will you be doing any high-end gaming? How much storage will you need? Consider the RAM size (random access memory). A low RAM size can cause a system to be very slow. So make sure the RAM size is high enough to meet your needs. Also, if you are buying a used laptop, ensure that you find out how much it costs to replace its battery or other sensitive parts. Depending on how the system was used before it went up for sale, that battery may or may not hold a decent charge. This is especially important if you plan to work in different locations with the system. However, if you are buying a desktop, this may not be an issue. After assessing the specification of the device, ask yourself: Can this computer handle my needs? If not, is the money you want to spend to buy the used device machine worth this specification, or should you just save more to buy a new one that is more promising. It is one thing to have a good specification, but it’s another thing to see whether these hardware devices you checked are actually working as the seller may claim. So, this moves us to the next thing – Test the device. If you are buying from a private seller, like a friend or someone you already know, see if you can get a test drive of the system for a while. A short period of use with the system, even a few hours, can make the difference between knowing the thing will boot and perform well and not knowing at all. But if you are buying from a store, where you can’t get away with it for a while before paying, at least take some time to turn it on and give it a good look while in the store. Check the time it took to boot. If it takes too long against the specification it claims to have, the processor might be weak already. Note that on the specification, it will show the processor type and grade, but if it performs lower than expected based on the grade level, then the processor has grown weak. For the RAM, if it’s weak, most operating systems will show you the usable RAM size available. Check the connectivity. This includes the USB ports, LAN ports, and SD slots if any, to ensure they are working. To do this, you will need some devices for the test. You can use a flash drive to test the USB ports, and a LAN tester to check the LAN ports, and an SD memory card for the SD slots, if any. Check all the keys on the keyboard to ensure they are all working. Check the included software and if anything licensed is included, make sure the keys or media are available to you. In any case, whether one is buying a used or a new computer device, the above test strategy can be used to test what one is buying. The difference between buying a used one and a new one, besides the price, is that the new one surely comes with a warranty policy, which may provide for a replacement in case you notice any fault within the period of the policy. But the second hand device seller may not attach any warranty policy to the sale, as such you really need to ensure that you do all the search before giving out your hard earned money. This can help you to prevent regrets when buying second hand computer devices.